INDIANAPOLIS -- Parts of Indiana have already picked up more than 4" of rain, and the remnants of Gordon are just getting into the mix. -Showers in the morning should become more widespread by late morning. -Heaviest and steadiest of the rain expected late Saturday morning through Sunday morning. -There will be a sharp cut-off in heaviest rain. Right now, lower impact appears to be north of a Crawfordsville to Muncie line. This is still subject to change. -Rain intensity should decrease for the afternoon, but shower chances do continue into the afternoon (including possible impact for the Brickyard 400). 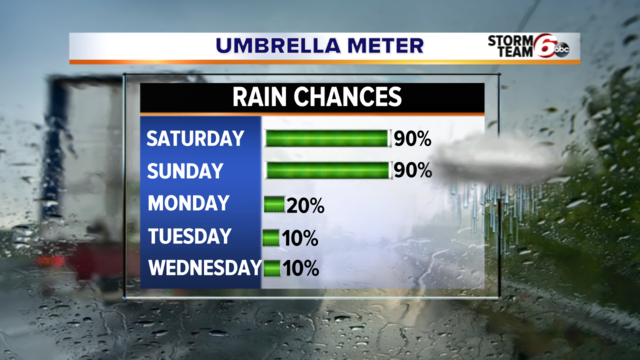 -This is the biggest weather concern and story through the weekend. -A Flash Flood WATCH is in effect for all of Central Indiana through Sunday evening. 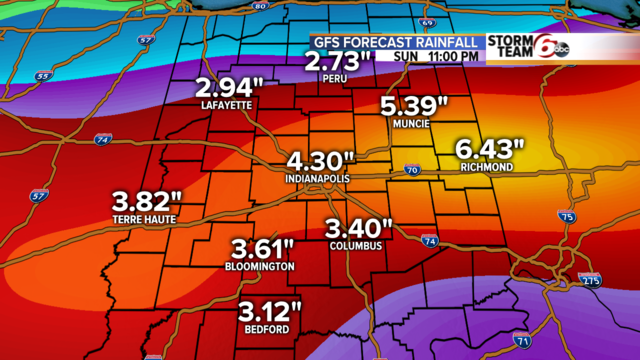 -Additional rainfall of 4-6” (higher amounts are not out of the question) by Sunday evening. 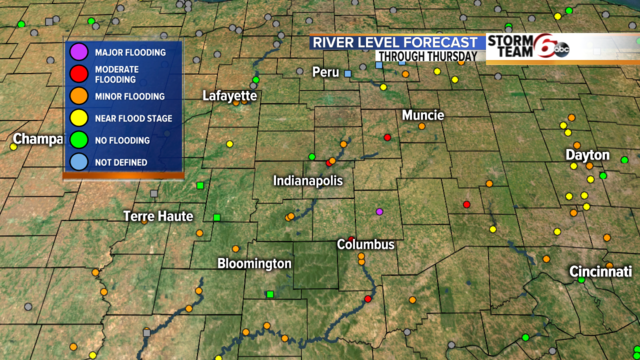 -Some rivers could reach Moderate to Major flood stage by late weekend into early next week. This is especially true for central and southern waterways. 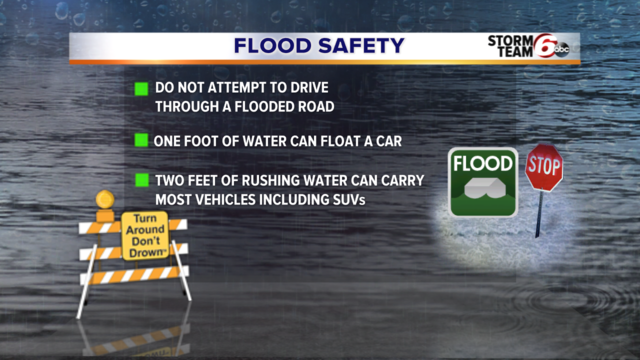 An important reminder with flooding likely to be an issue this weekend. TURN AROUND, DON'T DROWN! Also, don't play in the flood water. You never know how deep the water is, or what might be in it. It's worth noting, as crews have already had to perform water rescues. Stay connected with the FREE RTV6 and Storm Shield apps, monitor forecast updates and review your flooding action plan.